Literature for Life invites you to celebrate the launch of its sixth issue! 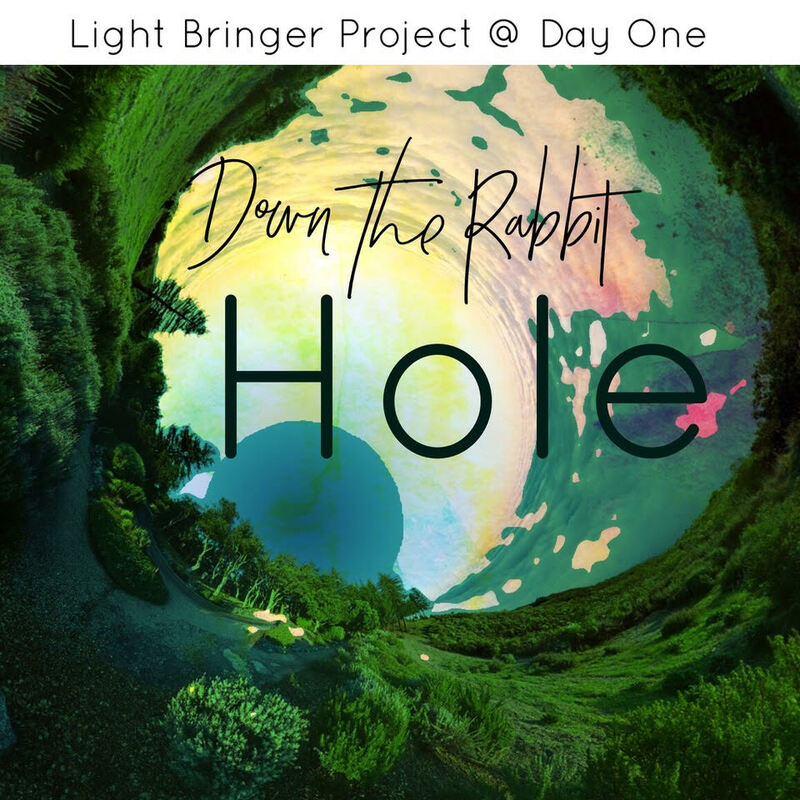 You don't want to miss this fun and festive gathering of Light Bringer Project and LitFest Pasadena organizers for friends, family, authors, artists, and more. Open to everyone, and bring someone new! There will be holiday treats to eat and plenty of cheer. Your $20 donation per person helps LitFest Pasadena cover mounting costs associated with the expanded two-day festival for the coming new year. LitFest Pasadena is produced by Light Bringer Project, a nonprofit arts and education organization serving Pasadena and Los Angeles, and Literature for Life, its literary journal and educational program which enables local authors and illustrators to visit public schools and discuss their stories and images. At the Holiday Party, there will be author readings, special announcements and dedication, live music, lively conversations and mingling at the lovely 100 year old Pasadena home of Bill and (author) Mary Lea Carroll. Come try out to be the Pasadena Doo Dah’s parade next queen. If you’re trying out the event is free to attend, for everyone else it is just $5! This Father’s Day Weekend marks the 26th Annual Pasadena Chalk Festival at The Paseo. Over 600 skilled chalk artists from all over the world come together to celebrate the unique art form. The festival offers visitors an opportunity to experience art on Paseo Colorado’s famous plaza for free. The Pasadena Chalk Festival places over 25,000 sticks of pastel chalks in the hands of hundreds of Madonnari (Italian for street painter) to spend the weekend creating spectacular murals on concrete canvases throughout the shopping plaza that stretches over three city blocks. Many artistic styles are represented in the Pasadena Chalk Festival: classical, contemporary, whimsical, socially relevant. Teams and Individual artists represent schools, creative companies, cultural organizations and artistic families. ArtCenter College of Design’s Public Programs is proud to host the annual “Expressing Feelings through Art” (EFTA) high school student art show. EFTA is an arts and literary prevention program delivered to public high school students. A collaboration between the Light Bringer Project, a community-based nonprofit, and Mental Health America of Los Angeles, the EFTA program serves more than 600 9th—12th grade students each year. Students are challenged to create works of art that tell stories that hold personal meanings. Each spring, a jury of community artists and writers give awards and small scholarships to outstanding students—including an award from ArtCenter College of Design. A small ceremony with refreshments and recognition will be held at 3 p.m. No RSVP required. The city and Southland’s free books-and-authors festival, returns for its 7th year with two-days of panels, discussions, readings, and literary activities with local authors. LitFest Pasadena is held in the historic Playhouse District at the Pasadena Playhouse, Vroman’s Bookstore, Zona Rosa Cafe, and many other local establishments. Mingling ~ Authors ~ Art ~ Food, Desserts & Drinks Please RSVP for our preps! Literature for Life is a program of Light Bringer Project. ﻿All donations are fully tax deductble to the extent provided by law. The 40th Occasional Pasadena Doo Dah Parade – Sunday, November 19th, 2017, 11AM, in East Pasadena! Join us for an enchanting evening filled with interactive art installations, storytelling, live music, and culture. Room 13, artists & community. Guitarist/composer David Pritchard's unique music for multiple acoustic guitars was first introduced in his CD Air Patterns. He has created his own acoustic guitar trio for the purpose of performing and recording his music which straddles the lines between contemporary classical minimalism, folk, jazz, and new acoustic. Pritchard's music has also been performed and recorded by the Los Angeles Guitar Quartet. He has performed either as a soloist or with his trio at USC, Cal Arts, Art Center College of Design, The Healdsburg Guitar Festival, Santa Barbara Acoustic Instrument Celebration, and All Saints Church Pasadena. He has also appeared frequently on the Living Room Concert Series produced by Public Radios Echoes. Join us for a fabulous garden party launch at the home of Literature for Life author Mary Lea Carroll featuring readings and art by our Issue 5 contributors and opportunities to try out curriculum created just for this issue! Literature for Life is an L.A. based online lit journal, salon, and educator’s resource designed to spark a love of reading and writing! With original curriculum create for each story, we connect our authors and illustrators with middle and high school students across Southern California. Literature for Life is a program of the nonprofit arts and education organization, Light Bringer Project. Donations are tax deductible to the fullest extent of the law. $10 Suggested Donation (All proceeds directly support Literature for Life). Food and drinks will be served! Bloom Celebrating abundant spring in an outdoor garden-like setting. Fabric and light installations. Anime art, far Eastern music and eclectic treats. Local artists including Junko Mizuno and May Ann Lumbang Licudine aka (MALL), and young artists in Room 13 creative studios. Enjoy a free evening of art, music and entertainment as Pasadena’s most prominent arts and cultural institutions swing open their doors. The night is yours to decide. Begin your journey at any one of our 18 participating cultural institutions, where free shuttles will be waiting to transport you to your next destination. Last fall, 28,000 people experienced the excitement of ArtNight. Don't miss the fun this spring. LitFest Pasadena, the city and Southland's free books-and-authors festival, returns to celebrate its fifth anniversary with a grand day of events and readings the afternoon and evening of June 4, 2016. Kicking off in the courtyard of famed Vroman's Bookstore with a big writer and a new book - still-secret details to come - LitFest continues on the sidewalks and storefronts of Pasadena's highly walkable Playhouse District through the day, including at the city's iconic Pasadena Playhouse. - Adding to our legacy offeaturing Pulitzer Prize winners, San Francisco novelist Robert Lowe, a Pasadena native, will read from his latest mystery. - The first-annual Pasadena Lifetime in Literature Award will be presented. - The Library Foundation of Los Angeles will roll up in its Library Store on Wheels. - The fourth-annual Pasadena Prize in Prose will be awarded to the author of the best short story by a high school student. - Prominent California African-American authors will discuss writing in the time of Black Lives Matter with Altadena novelist and LitFest co-founder Jervey Tervalon. - Poetry, YA, true crime and literary fiction writers will share their recent work. At our fifth anniversary, we will also celebrate the great authors of past years - including Pulitzer winners Jonathan Gold, Megan Marshall and Daniel Walker Howe - as well as novelists Mona Simpson, Michelle Huneven and Naomi Hirahara, poets Wanda Coleman and Brendan Constantine, poet and YA author Ron Koertge, scholar and Libros Schmibros proprietor David Kipen, L.A. mystery writer Denise Hamilton, Lalo Alcaraz, creator of the daily comic strip "La Cucaracha," Kogi truck creator and author Roy Choi and memoirist Jillian Lauren, author of "Some Girls: My Life in a Harem." or call Larry Wilson, co-founder of LitFest Pasadena at 626-429-1739. At least five finalists will be honored, as well as one competition winner! The winner's English and Science Departments will also receive a portion of the box office proceeds from the celebrity reading of the finalists' stories in May. Rosalind Helfand, Director, Short Story Competitions, Sci-Fest LA is available to come speak with students and/or teachers. Submissions are due Feb. 19. There is no fee to submit work. rosalindhelfand@gmail.com, or call her at (310) 869-5749. Featuring Shoe Drive, Pasadena Youth Musicians Performs and Student Art Exhibition (with 50 students from LightBringer represented).